Mandarin essential oil (Citrus reticulata) has a delicious aroma that brings a feeling of joy and happiness to any occasion, and is appreciated equally by young and old alike. Mandarin is actually the collective name given to a class of oranges that possess thin, loose peel and a flavour much sweeter than that of the orange. This large group of citrus fruits are all characterised by brightly coloured peel and pulp, segments that separate easily and a rind that is easy to peel. The true origin of any citrus fruit is difficult to determine due to the vast number of natural hybrids, cultivated varieties and natural mutations in existence, all of which conspire to obscure their history and provenance, – and mandarin is certainly no exception! Although the true origin of Citrus reticulata has not yet been determined, most botanical references suggest that it is probably native to Indo-China or South China since ancient texts indicate they have been cultivated in China since the 12th century BC. Wherever it originated, it was not until 1805 that Citrus reticulata was introduced to Europe by the natural historian Sir Abraham Hume, who brought two cultivars back to England from China. It is thought that from England the mandarin was next introduced to Malta, and then to Sicily and continental Italy. 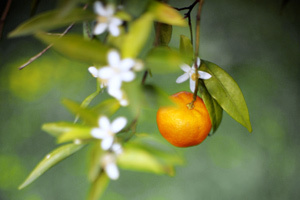 Henceforth, the species grown in this area was the Mediterranean mandarin (Citrus reticulata var. deliciosa), and is now of great agricultural importance in the Mediterranean basin. The Satsuma mandarin (Citrus unshiu) probably originated in Wenzhou, Zhejiang Province in China, since records of its cultivation go back to around 400 AD. At some point its origin of Wenzhou was mistranslated to Unshiu. From China mandarin was taken to Japan and first recorded circa 1300 AD. Satsuma is now the most popular mandarin cultivar grown and consumed in Japan, and interestingly, Satsuma was the name of a former province located on the southern tip of Kyushu Island in Japan, which is now known as Kagoshima Prefecture. Depending upon the variety, the mandarin tree is often smaller than that of the sweet orange, usually attaining a height of only 5 metres (16ft), although with great age some trees occasionally reach a height of 7 metres (23ft). Sometimes thorny or spiny, this willowy evergreen tree has slender drooping twigs, and broad or narrow lanceolate leaves which are glossy on both surfaces and form a symmetrical, rounded crown. Small, fragrant white flowers are borne singly and are abundant on the branches. The fruit is oblate (a flattened ball shape) and measure 5-10 cms, coloured bright orange and turning red-orange upon ripening. Mandarins display a wide range of climatic adaptability, thriving well under desert, semi-tropical and sub-tropical Mediterranean environmental conditions. The fruit produced under subtropical conditions is normally considered the finest. Various species of mandarin are grown commercially in Africa, N. & S. America, Australia, Brazil, China, India, Italy, Japan, Spain, United States and West Indies. Like many other citrus, mandarin has been highly prized throughout history and has been used in many folk medicine traditions, including traditional Chinese, Indian and European. In Chinese medicine, the unripe peel was used for chest pain, gastro-intestinal disorders and cirrhosis of the liver, since it is believed to regulate liver Qi. Likewise it acts on the spleen and lungs and is used to relieve phlegm and hiccoughs. In France and other European countries the fruit and peel is used as a remedy to treat indigestion and hiccoughs with the elderly and young children. 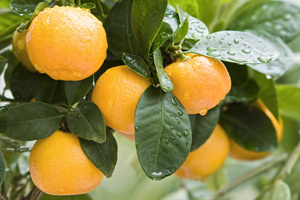 As soon as the fruit has ripened sufficiently it must be harvested or it will spoil, but mandarin fruit may only be collected providing the prevailing weather is neither cold nor wet. The delicate fruits are highly susceptible to bruising and damage during harvesting so exceptional care and skill is required, therefore collection is often done by hand to prevent injury to the crop. 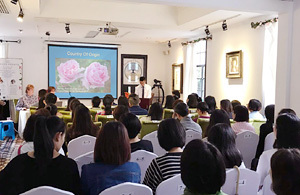 Mandarin essential oil is extracted by cold expression, and it may be either yellow, green or red depending upon its country of origin, species or maturity of the fruit. 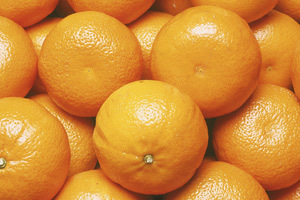 The majority of mandarins grown are destined to be sold as fruit or juice; therefore the material reserved for oil production is quite limited. This is why mandarin is one of the most expensive of all the citrus essential oils. 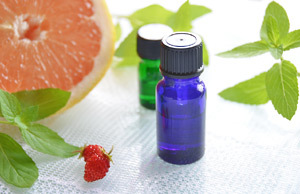 Mandarin essential oil is adaptable and can be used to treat a wide range of physical and emotional conditions. A few drops added to a carrier can be used in massage to treat cellulite, stretch marks and fluid retention effectively. To increase the oils effectiveness, add other essential oils that are effective with these conditions such as juniper berry and cypress since they create an effective synergy together. Mandarin oil has a mild antispasmodic effect which makes it useful for relaxing muscle spasms, and when massaged on the abdomen helps to relieve dyspepsia and gastritis. Its cheering, uplifting and relaxing aroma is ideal for treating negative emotional conditions such as anxiety, nervous tension, stress, irritability, restlessness and tantrums – with both grown-ups and children! Mandarin is somewhere between a middle and a top note, blending effectively with many essential oils including basil, black pepper, chamomile roman, cinnamon leaf, clove bud, lavender, marjoram sweet, neroli, nutmeg, palmarosa, petitgrain, rose and other citrus oils. Mandarin represents the largest and most varied group of all edible citrus, with well over 100 commercially recognised varieties of this deliciously tasty fruit! By the year 400 AD, mandarin was already being grown commercially in central China using sophisticated grafting methods to clone favourable varieties. The popularity of this fruit has not diminished over the years and mandarin still appears to be the most important species of citrus grown in China, both commercially and domestically. The large number of mandarin varieties has inevitably led to a certain amount of confusion over the years, and this has not been helped by the fact that in the United States the names mandarin and tangerine are used synonymously. Strictly speaking this is incorrect because tangerine is a sub-group of mandarin orange and is identified as Citrus reticulata var. 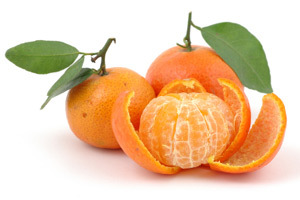 tangerine, whereas mandarin is known as Citrus reticulata var. mandarin. Mandarin essential oil has a reputation of being safe for use with children, but caution is still needed. The major chemical constituents are very similar to many other citrus oils (typically 70-75% limonene) and therefore it may be slightly irritant on young skin if used in too high a concentration for long periods. When using mandarin essential oil in a massage on young children, use just one drop to every 10mls of carrier oil to be safe.